Resource center Guide to Drug Overdose and How it Can Be Prevented What Does a Prescription Drug Overdose Look Like? A drug overdose occurs when an individual takes too much of a drug, and the body is unable to metabolize the substance, so the increase in the drug begins to shut down organ systems. Often, slowed or stopped breathing, changes in blood pressure or blood flow, or ruptured vessels lead to a lack of oxygen in the brain. This can change an individual’s behavior, cause the person to pass out, lapse into a coma, or even die. About 20 percent of the adult population of the United States has self-reported that they have taken prescription medications recreationally, abused the medications, or taken them for a purpose other than as prescribed. Especially when combined with other drugs, particularly alcohol, these prescription drugs can be very dangerous. If individuals take these medications outside of a doctor’s recommendations, or without medical supervision, they are more likely to suffer an overdose. Accidental prescription drug overdoses do happen. Patients with chronic pain, such as those dealing with cancer or arthritis, are typically prescribed strong, long-acting painkillers like OxyContin. If they inadvertently take too many pills in one day, they can overdose without being addicted to their prescription. Individuals suffering from insomnia may drink alcohol or take other medications that interact with their sleep aid medication, causing them to overdose. Children’s bodies cannot process medications as rapidly as adults, and they cannot metabolize doses as large as adults, so if they accidentally ingest an adult’s prescription, they can overdose. Elderly people with prescription medications, particularly those who have dementia, may accidentally take too much of their prescriptions and suffer an overdose. If an individual struggles with addiction, whether due to childhood trauma, family history, genetic disposition, or another underlying cause, nearly any prescription medication can become addictive. However, there are a few medications that are abused by millions of people in the United States. These medications are very addictive for a wide range of people. Opioid painkillers are prescription medications that interact with opioid neurotransmitter receptors in the brain to manage pain. Several of these medications are given on a short-term basis for post-surgical pain or other types of pain that go away with time; however, some opioid pain medications, such as OxyContin, are prescribed to individuals who suffer chronic pain from conditions like arthritis or cancer. Opioid pain medications are highly addictive, and their abuse has led to an “epidemic” of opioid addiction in the US, per NIDA. Prescriptions for these drugs are monitored very carefully in order to discourage addiction, and it is a felony to share prescription painkillers with others. Although these drugs are highly regulated, they are also widely prescribed to treat serious pain, and many people become addicted to them after routine surgeries, like wisdom tooth removal, or after suffering injuries like broken bones or back pain from a car accident or work injury. Opioid drugs release slowly into the system, so as an individual develops a tolerance for these medications, it becomes very easy for that person to take more than the body can process. When this happens, overdose occurs. In the US, 78 people die daily due to opioid overdose. Central nervous system depressants are used to treat anxiety conditions and sleep disorders, like insomnia. Many people become addicted to the euphoric and hallucinogenic qualities of these medications when taken in large doses, when the person fails to use the medication as directed, or when the person mixes the medication with other drugs, particularly alcohol. 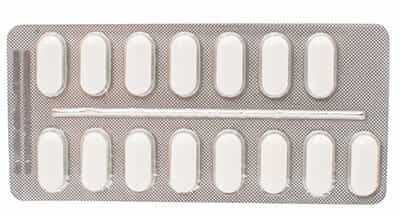 Xanax: Typically used in moderate or small doses to treat panic and anxiety disorders, this medication relaxes the body by depressing the nervous system. It works quickly and sedates the user easily. Klonopin: One of the medications in a class of benzodiazepines that is typically prescribed for people suffering psychological anxiety disorders or post-traumatic stress disorder. While clinically this medication is prescribed in small doses, people who abuse this drug often seem drunk due to the sedative effects of the medication when used in large quantities. Valium: This is another benzodiazepine that is much like Klonopin, which can be highly habit-forming. Ambien: This is a prescription medication used to treat insomnia. When used as prescribed, people typically do not take this drug for more than one month. When abused, however, this medication can create euphoria and a lack of coordination, similar to alcohol intoxication. Other barbiturates: These medications are not benzodiazepines. Although they offer a similar level of relaxation in small doses as prescribed by a doctor, they are actually tranquilizers. It is very easy for people taking CNS depressants to become tolerant to these medications and require larger doses to get the same effects. When people take these medications under the supervision of a doctor or psychiatrist, they can be very useful in the treatment of serious anxiety, post-traumatic stress disorder, insomnia, and other similar conditions. If the supervising medical professional believes that a patient is abusing these medications, then alternative treatments will be used instead. However, when a person abuses these medications or becomes addicted outside of a medical professional’s supervision, the person risks suffering an overdose. Many young adults begin to abuse prescription stimulants in high school or college as “performance-enhancing drugs.” Because these medications increase attention, they are often abused as study aids to help students cram for tests or write essays at the last minute. When overused by people who do not have a condition that requires amphetamine medications, they can also create a sensation of euphoria or a “high.” It is also very easy for people to become tolerant of these medications and begin to take more just to feel “normal.” This can lead to amphetamine overdose. People who become tolerant to or addicted to stimulants can also take too much of the medication in desperation if they miss a dose or feel withdrawal effects like extreme fatigue, confusion, or even psychosis. This behavior can lead to overdose as well. Emergency medical treatment is needed in the case of prescription drug overdose. 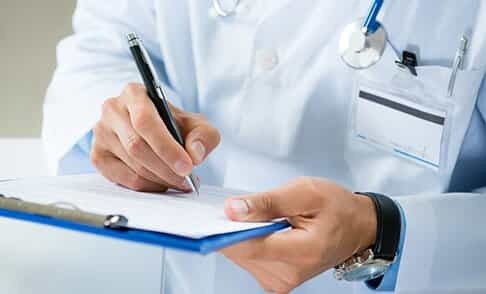 Some general treatments given in the emergency room include stomach pumping; administering medications to stop or reverse the overdose (when available); breathing assistance, such as intubation or a ventilator; medications to treat symptoms, such as seizures, heart attacks, or allergic reactions; IV fluids to stop dehydration; CPR or other resuscitation techniques; use of activated charcoal to absorb drugs from the body; and chemical or physical restraints in rare cases when individuals are extremely violent. Once an individual has been treated for the overdose in emergency care, the person will be released from the hospital. However, treating an overdose does not treat the underlying disorder if the individual is addicted to prescription medications. For those suffering from substance abuse and addiction, comprehensive addiction treatment, often via inpatient rehabilitation, is needed.